SIGN UP & SAVE UPTO 80% ON BUSINESS PHONE SYSTEMS LIMITED TIME ONLY INSTALLATION FEES & SET-UP FEES W A I V E D* Receive One Toll-Free Number* and North American Long-Distance ABSOLUTELY FREE! that can be deployed rapidly - with no CapEx required. 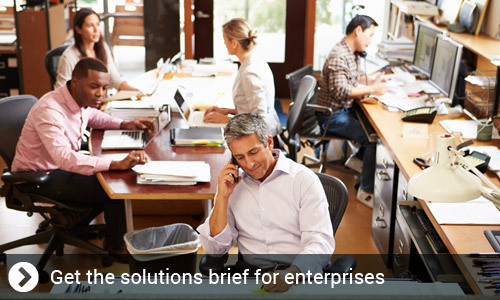 Collaborate with ease, lower your costs and simplify complexities. Dedicated, fast and scalable Internet to support any business size. Get connected in over 150 countries with guaranteed savings of up to 90%. Complete business VoIP solution that works as hard and as fast as you do. In today's competitive market, businesses are looking for ways to lower expenses by simplifying the complexity of their existing phone systems and eliminating multiple communication providers and costly phone lines. While traditional phone systems are expensive to operate and maintain, Telehop's business VoIP solutions can help your business control costs and manage your communications more efficiently anywhere. All the features of an enterprise phone system at a fraction of the cost - there are no complex infrastructure to install, purchase or manage. A full spectrum of advanced and customizable features come standard and can easily be managed from anywhere with an Internet connection. Designed to meet and adjust to your changing connectivity needs so you can grow your system at your own pace. Simplifies how your remote workforce, partners and customers stay connected from virtually anywhere with a "bring your own device" mobility integration. Quick deployment and easily manage users and features via a simple mangement portal without the need for a complex IT setup. Our carrier-grade data centers provide 99.999% reliability even if your business is impacted by unplanned events. Seamlessly unify your communications from your desk or on the road. Forward calls to your mobile, send faxes from your tablet, or communicate with employees and customers no matter where you are. MOBILITY - seamless integration of a corporate office with its remote workforce. BRING YOUR OWN DEVICE (BYOD) - Connect everyone from their existing devices including smartphones, tablets, computers, or VoIP desk phones. CONTROL - online portal allows for easy management of workforce communications. Telehop's leading cloud-based platform offers single solutions that can be deployed across multiple locations for a wide variety of industries. Organizations benefit from a reliable company-wide telephony system that present a single unified view to their customers. Let's get your business moving. Telehop offers enterprise-level cloud-based solutions to organizations of all sizes. We believe upgrading to a unified communication system does not need to be complicated or costly. Providing you with innovative cloud solutions with industry leading technology partners.